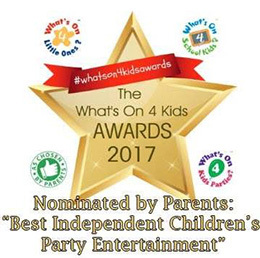 As professional children’s entertainers we are proud to provide themed children’s entertainer parties across Surrey, Berkshire and North Hampshire. 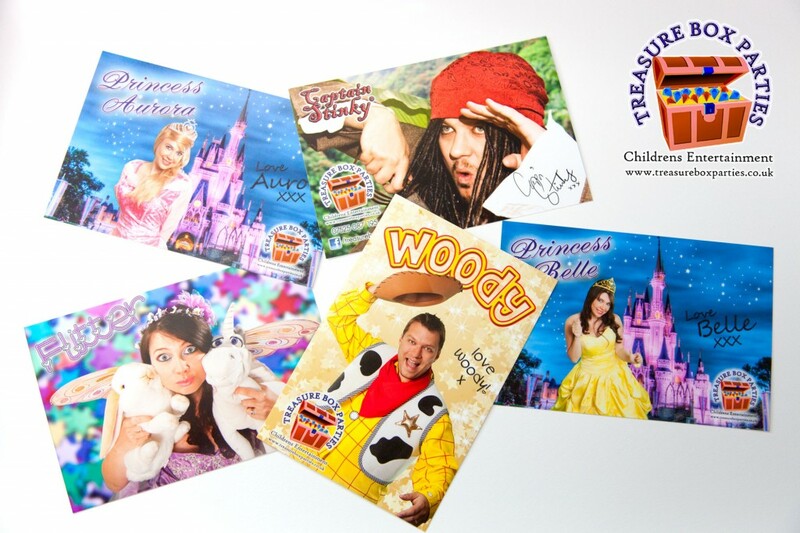 Our characters include pirates, princesses, fairies and all manner of fantastic fun Children’s Entertainer Party friends for your Event. We are not an agency and all of our children’s entertainers are are trained to our very high standards of excellence. 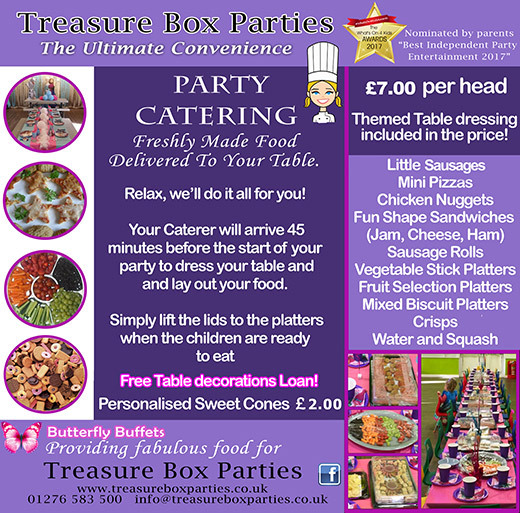 Our children’s entertainer parties are suitable for children aged 4-6 years, and our Glow Disco package is suitable for up to 12 years old. We cover Surrey, North Hampshire and Berkshire. Contact us easily on 01276 583 500 or use our Quick Contact Form! You can also Find Us on Facebook and read our fantastic reviews from real parents! 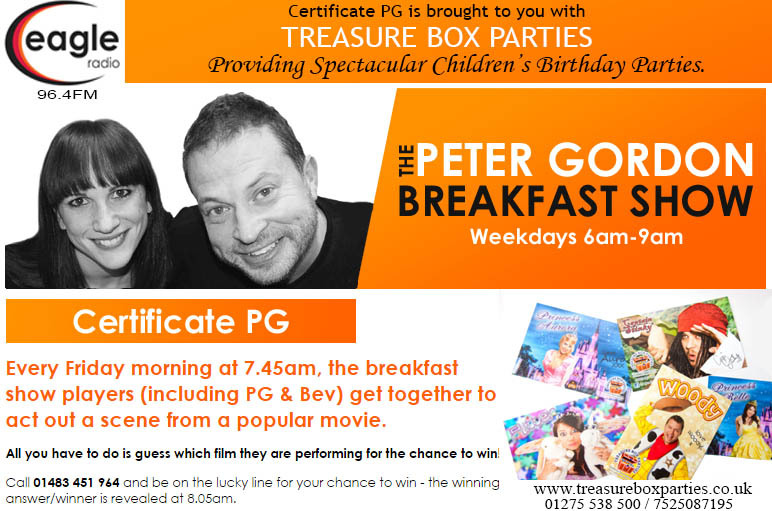 Treasure Box Parties have proudly sponsored The Peter Gordon Breakfast Show on Eagle Radio 96.4FM!